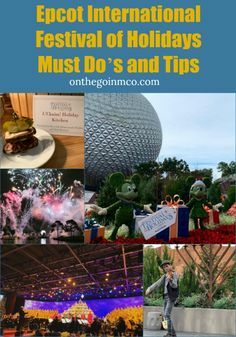 DISCLOSURE: I was invited by Walt Disney World to experience Star Tours – The Adventures Continue, but all opinions (and total geek out moments) are all my own. As guests board their Starspeeders at Star Tours – The Adventures Continue at Disney’s Hollywood Studios, they will find that several new additions have been made to the attraction packing it full of adventure! Inspired by Star Wars: The Last Jedi, the latest film in the Star Wars saga that will be opening in theaters on December 15, 2017. Riders will now see new introductory and interstitial scenes featuring characters from the latest trilogy. But more exciting is that a new scene has been added that places them right in the middle of an epic battle that takes place on the planet of Crait, which we got a first glimpse of in the first Star Wars: The Last Jedi teaser trailer. But the most exciting part is that as the Star Tour journey is coming to an end, riders are now on a planet that can be found in the outermost rim of the Star Wars galaxy, an unexplored planet in the Star Wars saga known as Batuu, the home planet for the Star Wars: Galaxy’s Edge expansion that opens at both Walt Disney World in 2019. To give riders and explorers a better idea of what they will find on this new planet, Scott Trowbridge, Portfolio Creative Executive at Walt Disney Imagineering, shared a bit of the history of Batuu on the Disney Parks Blog. 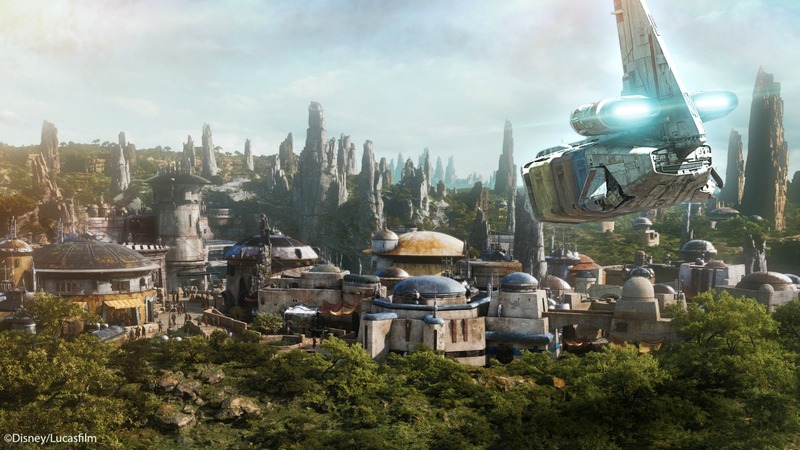 The additions to Star Tours – The Adventures Continue are just the first of many new additions expected to debut at Walt Disney World and Disneyland to give us a glimpse into what the world of Star Wars: Galaxy’s Edge will be like when it opens in 2019. 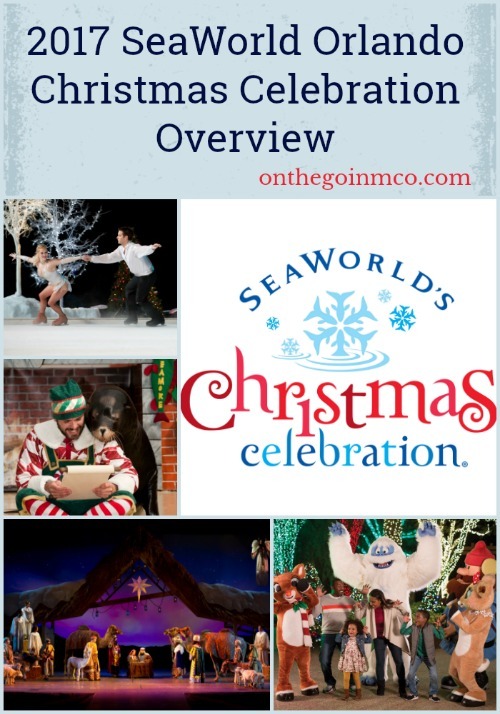 This holiday season, there are more reasons than ever to join the merriment of the SeaWorld Orlando Christmas Celebration. 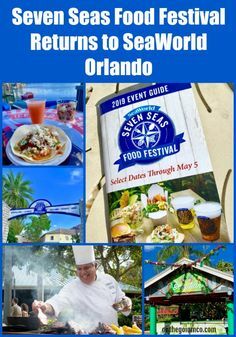 Guests of all ages can delight over scrumptious food, stunning live shows, and joyful entertainment inspired by the natural world as they create treasured memories together. Over 1 million sparkling lights will shine bright during the SeaWorld Orlando Christmas Celebration, offered select dates fromNovember 23 to December 31, with an all new holiday experience beginning January 1, 2018. · Dine with Rudolph – Guests can now book an all-new holiday dinner experience with their favorite reindeer. Hugs and smiles are shared with Rudolph as guests enjoy the telling of his classic tale during a delicious feast featuring a menu filled with traditional holiday favorites served family-style. 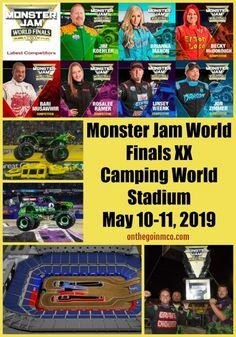 Advance reservations for this experience are encouraged. · Santa Claus at Wild Arctic – All new this holiday season, SeaWorld is inviting guests to take a ride to the top of the world to meet the Arctic’s most famous resident, Santa Claus! Guests of all ages can share Christmas wishes and take pictures with Santa Claus as they experience amazing animal encounters during this special holiday adventure presented by Coca-Cola. · Rudolph’s ChristmasTown – Returning for another year of festive fun, guests can immerse themselves into the story of Rudolph the Red-Nosed Reindeer at Rudolph’s ChristmasTown. As guests stroll past life-size story book vignettes featuring the classic tale, they’ll have the opportunity to meet their favorite characters: Rudolph, Clarice, Bumble and Yukon Cornelius. 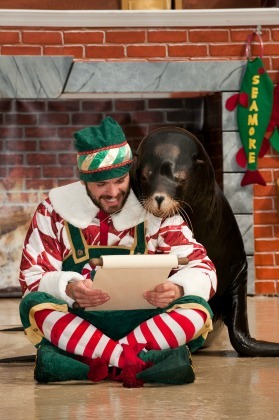 · Clyde & Seamore’s Countdown to Christmas – A returning classic, Sea Lion & Otter Stadium celebrates the season with a hilarious Christmas comedy show. Clyde and Seamore, along with a few mischievous otters, a comical elf, and even a jolly walrus, invite guests to their fun-filled holiday celebration. 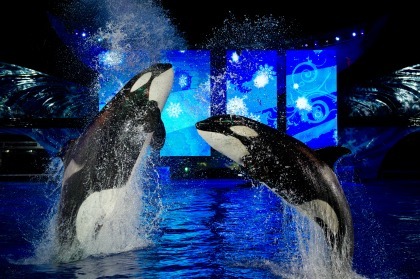 · Shamu Christmas Miracles – Shamu Stadium once again brightens the night with dazzling lights and glowing candles, while Christmascarols abound and Shamu splashes to celebrate the holiday season during the SeaWorld Orlando Christmas Celebration. 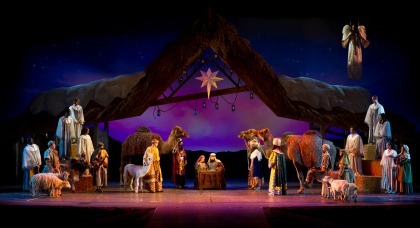 · O Wondrous Night – Experience a live nativity only SeaWorld can bring to life, complete with more than 30 carols, life-sized puppets, and animals in a spectacular Christmas favorite based on The Christmas Story. Told through the eyes of the animals that were there, O Wondrous Night is a touching, light-hearted, and glorious celebration with a host of angels, animals, and the true glory of Christmas. · Sesame Street’s Elmo’s Christmas Wish – The holidays have arrived, and everybody’s Sesame Street® friends have come to SeaWorld Orlando for a festive and fun musical celebration! Elmo’s Christmas Wish will soon become every child’s favorite show. Join Rosita, Grover, Zoe and Cookie Monster as they work together to help Elmo find his Christmas wish! · Winter Wonderland on Ice – Christmas comes to life on a stage of ice, jewels and light as skaters dazzle and delight in this show-stopping, ice skating extravaganza. · Sea of Trees – Families will stroll through a wintery, watery wonderland as they are immersed in a sea of glistening holiday trees that sparkle to music as they light up the water. 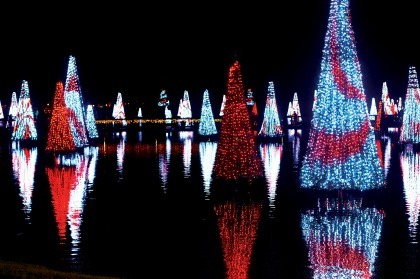 Dazzling images come to life on over 100 trees, including a giant glistening centerpiece that towers 70-feet above the water. · The Christmas Market – Nestled along the park’s Bayside Pathway, The Christmas Market features festive entertainment and delicious culinary delights. Complete with playful elves, a charming model train village, and seasonal entertainment, the market is the centerpiece of SeaWorld’s Christmas event. Guests can also relax near the warm glow of the fire pit with a holiday cocktail while experiencing a wonderful view of the vibrant Sea of Trees. The best way to experience SeaWorld’s Christmas Celebration and New Year’s with family and friends is with an Annual Pass. By purchasing a pass now, guests can get three additional months free. 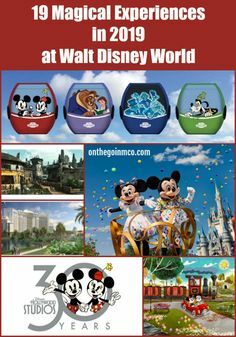 Pass Members receive park benefits and rewards, including priority access to new attractions, in-park discounts, exclusive pre-sale opportunities and much more. 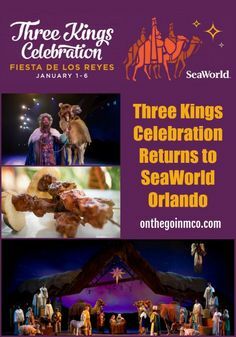 Don’t forget that SeaWorld Orlando has an entire year filled with monthly celebrations and that there are going to be some amazing BLUE Friday deals! 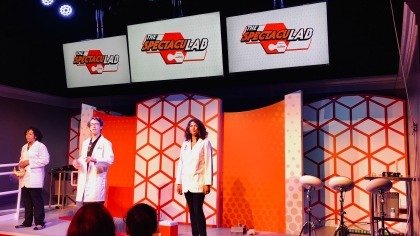 The SpectacuLAB is an all-new interactive show at Epcot that can be found inside of Innoventions in Future World, and I was invited to attend the opening of the show and to be in the audience for the first show which was a lot of fun. 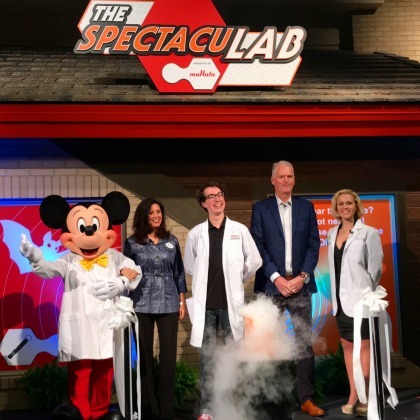 The SpectacuLAB, which lasts approximately 20 minutes, allows guest to join a duo of real scientists and their intern as they perform a series of experiments and demonstrations. The audience participation portion of the show comes when the scientists need a hand during the scientific demonstrations which include Guests racing to change the colors of barometric pressure cubes by only raising or lowering the cube, using accelerometer sensors measuring the guest’s force when smashing a paper cup, and observing a scientist explain the principle of force by comfortably resting on a bed of nails with a twist. The Spectaculab space is extremely spacious with plenty of seating to enjoy the show. A lot of the experiments happen on the stage floor, but don’t worry if you have a clear view, because you will be able to see the action on the large monitors on the stage. 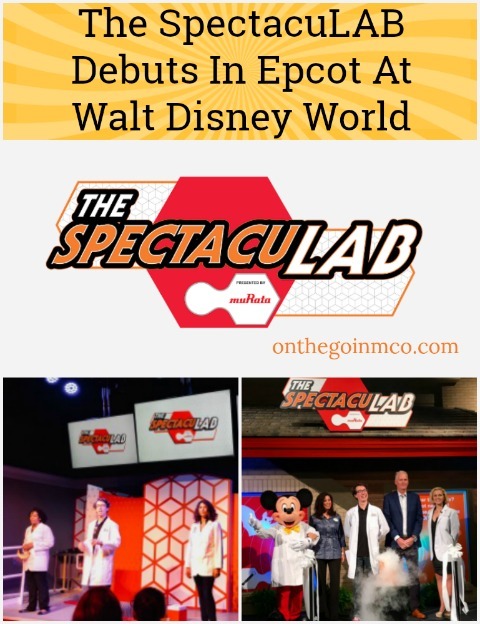 The SpectacuLAB show was developed with the show’s sponsor Murata, a global leader in the design, manufacturing, and supply of electronic components that are used to create consumer products such as mobile devices, healthcare equipment, and automotive electronics. 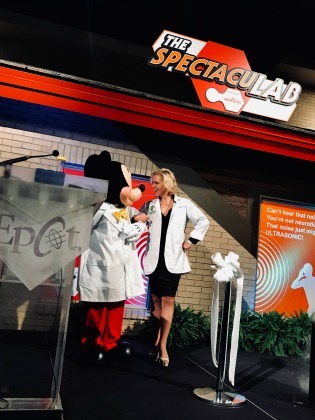 In addition to teaming with Murata, the Walt Disney Parks Creative Entertainment joined forces with Science from Scientists, a national, non-profit which promotes the importance of STEM education with a mission to empower youth in science, technology, engineering, and mathematical fields. 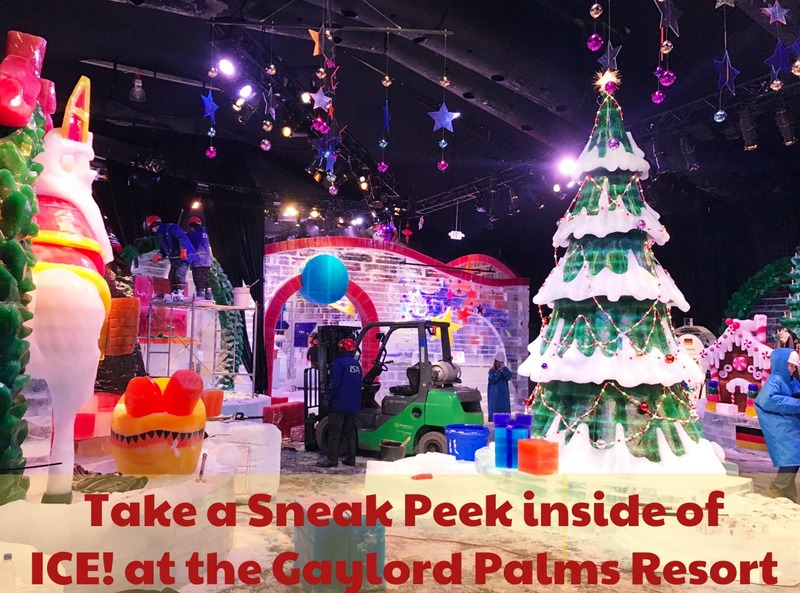 Disclosure: I was invited by the Gaylord Palms Resort to preview ICE!, but all opinions are my own. ICE! at the Gaylord Palms Resort in Kissimmee has become a staple of the holiday season of events in Orlando, and this year they are celebrating their 15th Season with ‘Christmas Around the World’ with more entertainment and holiday activities than ever. 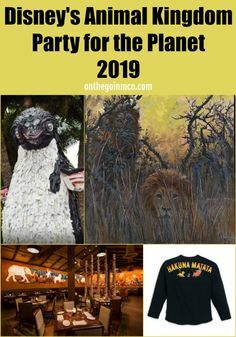 The festivities begin on November 21st, and I had the opportunity to step into the tent to see how the work was progressing. The artisans from Harbin, China, home of the world’s largest ice and snow sculpture festival, travel more than 6,000 miles to hand-carve more than two million pounds of colorful ice into larger-than-life sculptures. The ‘Christmas Around the World’ theme for ICE! celebrates the world’s diverse holiday traditions, representing United Kingdom, Mexico, Germany and more. So when guests enter the nine-degree attraction this year, they will discover holiday scenes from various nations and two-story ice slides surrounded by sculptures and international tidings, all before ending with a trip to the North Pole to experience Santa’s toy workshop. The ICE! experience ends with the Frostbite Factory live ice carving showcase and the traditional Nativity created with crystal clear ice. It was amazing to see them at work and to see the attraction take shape! I’ll be bringing you more from ICE! 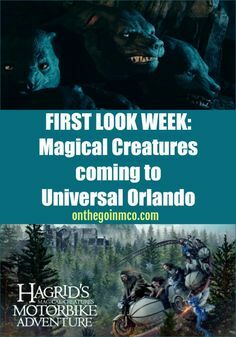 at the Gaylord Palms Resort next week, and you can find additional information and to book packages or tickets by visiting ChristmasAtGaylordPalms.com. Holiday shoppers are invited to dive into SeaWorld Orlando’s biggest sale of the year as early as Thanksgiving day with new Blue Friday deals. 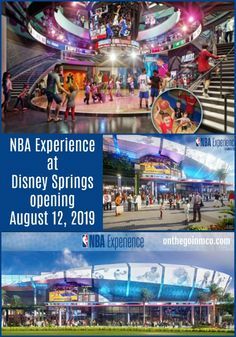 From tickets and passes to unforgettable park experiences, guests can take advantage of limited-time pricing and save big with these exclusive online offers that you definitely won’t want to miss out on. Blue Friday deals kick off the holiday shopping season by providing the best value to experience all that SeaWorld has to offer year-round, including SeaWorld’s Christmas Celebration and other special events coming soon in 2018. BOGO Free: Beluga and Walrus Up-Close Tour, which now includes a special opportunity to see Ginger, the baby walrus born at SeaWorld this summer. To learn more about this year’s Blue Friday deals, shoppers can visit seaworldorlando.com/bluefriday and become an email subscriber for early access to these limited-time offers. Fans must subscribe by Wednesday, November 22 to gain early access at noon on Thursday, November 23. These online-exclusive deals are available to the public starting from 6:00p.m. on Thursday, November 23 and will end on 11:59p.m. Monday, November 27, 2016. 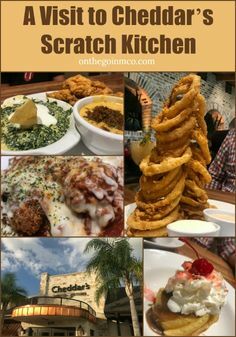 If you want to make sure to remember to take advantage of these fantastic Blue Friday deals from SeaWorld Orlando, you can subscribe to their email list for reminders and other great offers.